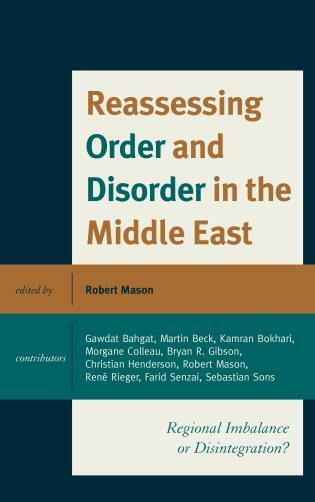 Reassessing Order and Disorder in the Middle East: Regional Imbalance or Disintegration?, New York: Rowman and Littlefield, 2017. This volume unpacks the changing domestic political context and other leading foreign policy drivers of the primary Middle East powers over the last decade, up to and including the Arab Spring. Middle East expert Robert Mason, and other regional analysts, assess how these policies have impacted on the regional balance of power in a penetrated system, identifying in conclusion whether the current disorder is a temporary imbalance or evidence of longer term disintegration. The volume pays special attention to the policies of the USA, Saudi Arabia, Iran, Qatar, Turkey, Egypt and Israel. The states in this volume were chosen for their enduring or emerging power status and relevance in the political, religious and sectarian challenges facing the region at large. Its conclusions about the main actors being consumed by internal and sub-regional conflicts which have exacerbated, escalated or extenuated state governance crises and political vacuums in the region, makes the work vital for students of Middle East politics and policy practitioners alike. 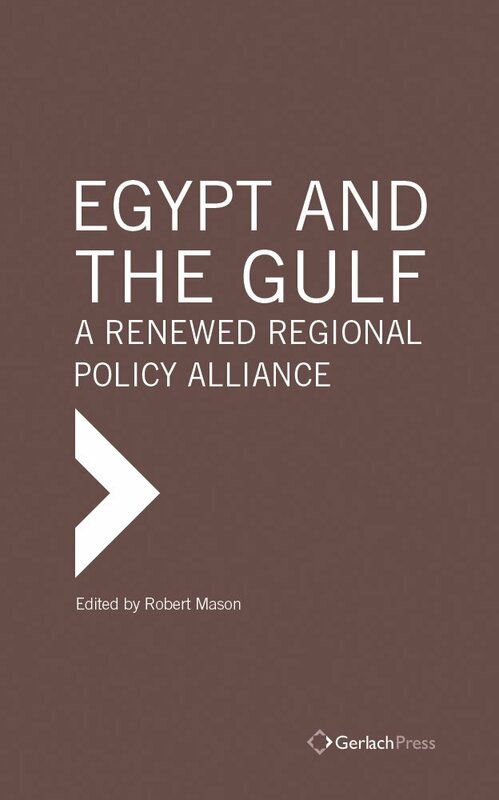 Egypt and the Gulf: A Renewed Regional Policy Alliance, Berlin: Gerlach Press, 2016. Egypt continues to be a cultural and political beacon in the Middle East. It’s control of the Suez Canal, cold peace with Israel, concern about neighbouring Gaza, mediation and interest in the Israel-Palestine conflict, and the marginalization of the Muslim Brotherhood are all points of significance. The Egyptian military is the largest in the Arab world, and there is a close, and expanding, defence and security relationship between Egypt and the GCC states, most evident in the inclusion of Egypt in Saudi Arabia’s new Sunni counterterrorism alliance. The authors of this book contextualise historical linkages, analyse adversarial postures (especially Egypt’s contentious relations with Qatar and Turkey) and study Egypt’s strategic relations with Saudi Arabia, Kuwait and the UAE in particular. The book’s main argument derives from a complex web of political, socio-economic and military issues in a changing regional and international system. It states that Egyptian regional policy under el-Sisi will generally remain consistent within existing parameters (such as broad counter-terrorism efforts, including against the Muslim Brotherhood). Even though domestic Egyptian circumstances require a broader outlook and orientation, there is strong evidence to support the idea that Cairo wishes to maintain a GCC-first policy. 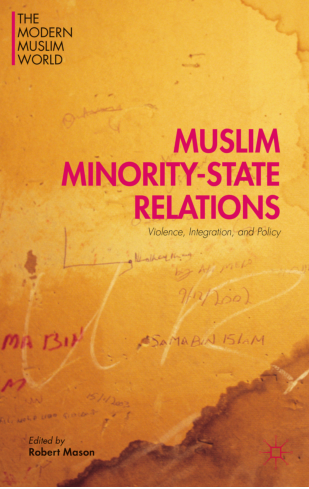 Muslim Minority – State Relations: Violence, Integration and Policy, New York: Palgrave, 2016. By bringing together diverse case studies from Europe, Africa and Asia, much can be learnt from different contexts where Muslim – state relations vary greatly according to new, established, marginalized or conflict-ridden communities; communities being constructively redefined or excluded; and between states that govern Muslim minority groups consistently according to the rule of law and states that are unable to govern effectively or persist in their toleration of cynical policies and public discourses, security-centric decision making or arbitrary legal ploys. The aim is to learn more about what drives government policy on Muslim minority communities, Muslim community policies and responses in turn, and where common ground lies in building religious tolerance, greater community cohesion and enhancing Muslim community – state relations. This volume goes beyond legitimate (and not so legitimate) state security concerns post-9/11 which have often led to a narrowing of domestic policies on Muslim minority communities, rather than taking on board and reconciling a full range of historic, social, economic, political and religious issues which affects their place in society. This book explores and analyzes how the Arab Spring has affected the political and economic relationships between the West, the BRICs and the MENA states. It locates continuity and change in these relations within the broader context of democratization, energy, security, arms relationships, and the shift towards a multi-polar system. Each chapter charts a history of ideological engagement , which has generally given way to more pragmatic energy, economic, and security interests, and defines and analyzes the fundamental and emerging factors that shape foreign policy. The volume pays special attention to the UN Security Council authorization of “all necessary measures” against Qaddafi’s Libya and the subsequent deadlock in getting China and Russia to pass further Resolutions for intervention in Syria. Saudi Arabia, with its US alliance and abundance of oil dollars, has a very different economic story to that of Iran, which despite enormous natural gas reserves, has been hit hard by economic, trade, scientific and military sanctions since its 1979 revolution. Robert Mason looks at the effect that economic considerations (such as oil, gas, sanctions, trade and investment) have had on foreign policy decision-making processes and diplomatic activities. 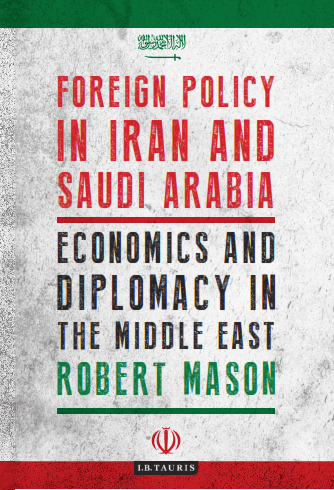 By examining the foreign policies of Saudi Arabia and Iran towards each other, and towards the wider Middle East and beyond, Mason seeks to highlight how oil policy, including oil production, pricing and security of supply and demand, is the paramount economic factor which drives the diplomacy and rivalry of these two pivotal regional powers. His book thus offers vital analysis for researchers of international relations in the Middle East and the processes involved in the formation of foreign policy. “Russia in Syria: An Unequivocal Return to the Middle East?“, Middle East Policy, Winter 2018/19. “The Syria Conflict and the Euro-Med Refugee Crisis: An Opportunity to Enhance the Common Foreign and Security Policy”, European Foreign Affairs Review, Vol. 23, Issue 1, February 2018. “Breaking the Mould of Small State Classification? The Broadening Spheres of UAE Foreign Policy through Effective Military and Bandwagoning Strategies”, Canadian Foreign Policy Journal, Vol. 24, 2018. “Enhancing South Sudan’s Prospects Through Advancing an Ambitious National Security – Development Agenda”, Africa Policy Journal, Vol. XIII, Harvard Kennedy School. “A Reassessment of the European Neighbourhood Policy: Extending the Limits of Regional Conceptualisation and Approach”, Orient, Vol. 1, 2018, pp. 31-39. “U.S. and Russian Engagement in the Middle East: From Cold War to Cold War” in Wilda Western and Alejandra Galindo (eds. ), Voces, Tramas Y Trayectoria II, (Monterrey: Universidad de Monterrey, 2017). Translated into Spanish. “Egypt – Turkey Relations in Context: A Role for the GCC States?” in Robert Mason (ed. ), Egypt and the GCC States: Renewing an Alliance Amid Shifting Policy Pressures. Berlin and London: Gerlach Press, 2016. “Saudi – South Asian Relations”, in Neil Partrick (ed. ), Saudi Arabian Foreign Policy: Conflict and Cooperation in Uncertain Times, London: I. B. Tauris, 2016. “Bahrain” and “Syria” in Christopher Matthews et al (eds. ), The Middle East and North Africa 2016, Abingdon: Routledge, 2016. “Executive Summary”, in Robert Mason (ed. ), Muslim – Minority – State Relations: Violence, Integration and Policy, New York: Palgrave, 2016. “Towards a Strategic Partnership: Turkish Foreign Policy and GCC Alliance Building in the Era of the Arab Uprisings”, in Ozden Oktav (ed. ), GCC – Turkey Relations: Dawn of a New Era, June 2015. “The Obama Administration and the Arab Spring: Waiting for a Doctrine” in Robert Mason (ed. 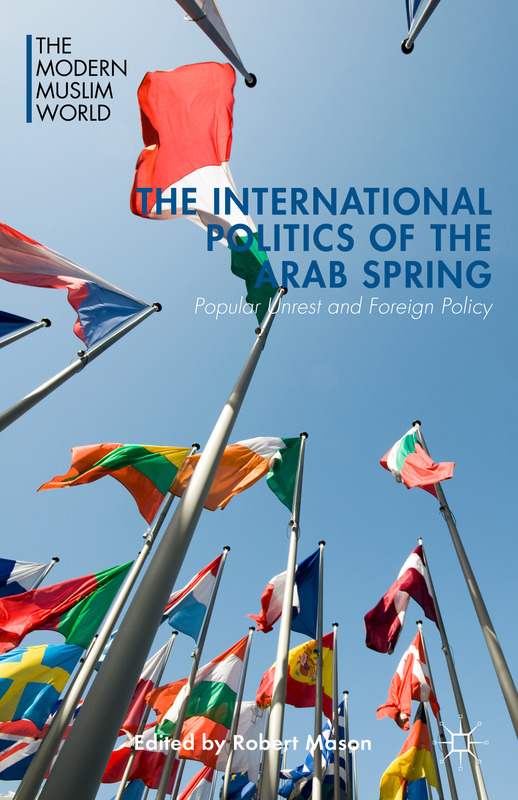 ), The International Politics of the Arab Spring: Popular Unrest and Foreign Policy, New York: Palgrave, December 2014. “Iranian Policy towards Latin America as a Counter-Measure against U.S. Hegemony”, in Alejandra Galindo (ed. ), The Gulf and Latin America: An Assessment of Expectations and Challenges, Gulf Research Centre Cambridge, October 2013. Indo-Saudi “Strategic Partnership”: An Analysis of the Leading Drivers”, in Abu Backer Bagader et al (eds. ), India and the Gulf: What Next? Gulf Research Center Cambridge, June 2013.